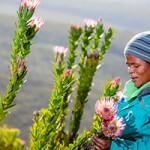 Flower Valley features in the current edition of Veld & Flora magazine. 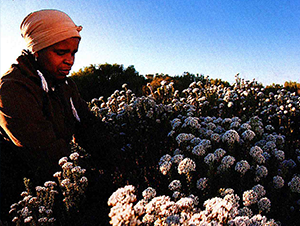 The feature highlights six-year research undertaken by the Agulhas Biodiversity Initiative (ABI), which sought to look at the impacts of harvesting on different fynbos species. 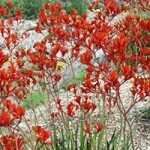 The research for example found that re-sprouters such as Silver Brunia have a high mortality when the whole plant is harvested.